From fixing a floorboard to a full-scale home renovation, our skilled team of tradesmen can help. And we mean it. We're as comfortable with the little jobs as we are with the big ones. Many of our existing long term customers first used us for small maintenance tasks like a leaking tap, or a window repair and asked us back when they had larger projects in mind, like a kitchen or bathroom installation, or a complete house renovation. We've built our business on recommendations. It's a fact we're proud of and one that shows in the quality of our work. We're polite and professional. Our team are uniformed and punctual. 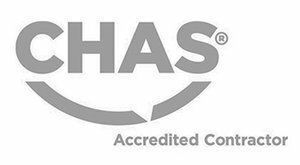 We are fully compliant with all the latest industry standards. We are Gas Safe, NICEIC Part P compliant, and licenced by the environment agency to remove and carry waste. And of course, all of our work is fully covered by our public and employees liability insurance. Take a look at some of our latest projects and reviews on Checkatrade.com or our Facebook page. If you have a residential maintenance task big or small, we'd love the opportunity to talk to you about it. Feel free to call or email us today. If you have a project you'd like us to quote for, get in touch.